Only through the weekend: We Bare Bears photo booth! We know that Poptropicans have enjoyed creating fun pics in our original Home Island and special Mystery of the Map photo booths. Well, now we have a bear-tastic, limited-time experience for you: the We Bare Bears photo booth! Step on in and create an awesome pic of you, Grizzly, Panda, and Ice Bear. Choose from four different backgrounds. Add some favorite Poptropica and We Bare Bears characters. Throw in some props and effects... and BOOM, you've got a fantastic picture you can save to your computer and share with your friends! You can find the We Bare Bears photo booth on 24 Carrot Island, and pretty frequently on the Home Island, too. Hop on over to Poptropica and create your pictures while you can -- this special photo booth is only around through this weekend! 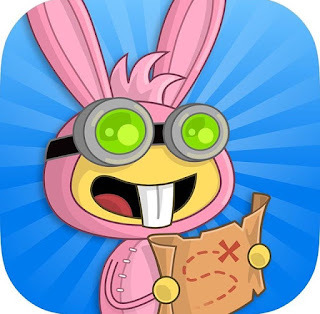 Poptropica: The Lost Expedition is coming in 3 weeks! We know you've been waiting on pins and needles since you reached the end of our first graphic novel, Mystery of the Map. Fear not: the wait for book 2 is almost over! In Poptropica: The Lost Expedition, Mya, Oliver, and Jorge take to the seas of Poptropica to try to find their way back home. This time, they don't just have Octavian to worry about. All over Poptropica are members of a mysterious organization who seem intent on capturing the kids. And when our heroes find themselves stranded on an icebound ship, they can't trust anyone -- except each other! Poptropica: The Lost Expedition is available now for pre-order, and will be available in bookstores everywhere on August 16. And if you need your fix of Mya, Oliver, Jorge, and Octavian, don't forget that Mystery of the Map Island is free for everyone to play! You'll get a new perspective on the action of the first book, and play a starring role. Visit Poptropica to play! Check out these amazing #PoptropicaArt contest entries! If your art is one of those featured above, get psyched -- being featured on the blog means you're a contest finalist! Congrats! If your art isn't featured here today, don't worry. We'll be featuring lots more over the upcoming weeks, including Facebook and Instagram entries! And get this: We've had so many entries we are going to increase the number of prizes we'll award at the end of the contest! Wahooo! We hope you're visiting Poptropica every day to win credits and prizes from the prize wheel. But what are you supposed to do with all this moola? Check out the rare goods in the Poptropica Store. Right now we're featuring superhero-themed costumes and powers, including the Atom Power you see above. But these items will only be available for a limited time! Visit Poptropica now to see all the amazing stuff you can pick up with your newfound riches. Get 'em before they're gone! Hey Poptropicans, big news from some of our StoryArc Media friends (StoryArc is Poptropica's parent company). 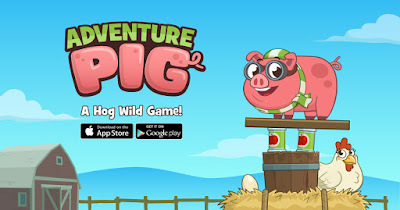 The free Adventure Pig app is now available to everyone! Adventure Pig is a fun puzzle game that you might recognize from Funbrain (where you can find a early version of it called Pig Pile). You tap to remove a growing number of stacked objects — from bales of hay to purple elephants to ice cream sundaes — and land Adventure Pig on the platform in style. One wrong tap, and — SPLAT! — the act ends in the muck! Pursue pork-fection across 40 levels, starting at the farm and continuing on to a diner, a carnival, and a big city! 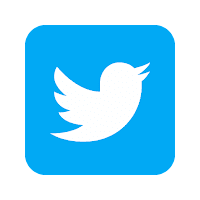 I can tell you that I love playing this app and so does everyone I've shown it to! The free version of Adventure Pig is available in the iTunes and Google Play stores, plus there's a $1.99, no-ads version on iTunes. Have a pigtastic time playing! There's a new feature on the Home Island that you won't want to miss. Check out the all-new prize wheel! It's easy to use: just visit the Home Island and talk to the guy next to the wheel to give it a spin. You'll win credits or special prizes! You can spin once per day. Come back every day to watch your credits pile up! Then be sure to visit the Poptropica Store for all the awesome costumes and powers you'll be able to buy. Go to Poptropica now for your daily spin!